Fans of ELP, Gentle Giant and other early 70s prog will dig this grab bag of bright compositions featuring solo performances by Oz Noy, Nad Sylvan, Jeff Scott Soto and many others. 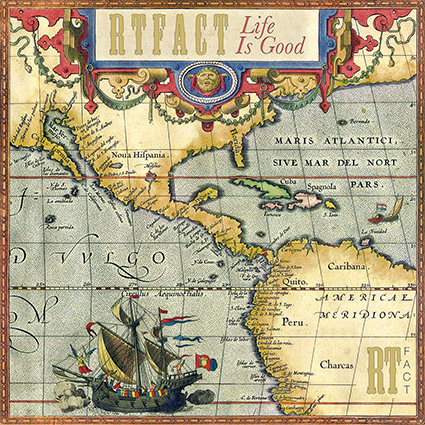 Life Is Good – the debut album by Russian/American project RTfact – is an archaeological trove of musical nuggets, with soaring vocals, Hammond B3 wizardry, muscular guitar solos, and a supple rhythm section that grooves as hard as it rocks. Composer Yuri Volodarsky grew up in the USSR, a kind of parallel universe where limited access to Western music only increased his passion for it, while firing his musical imagination. And imagination is everywhere on Life Is Good, from the Spock's Beard-style vocal counterpoint of the title track, to the bizarre saga of an unlucky bank robber in Money in My Pocket, to an epic tribute to ELP in The King, the Master, and the Timekeeper. But while Life Is Good celebrates the joyful, whimsical vibe of early prog rock, the newcomers on the album bring a modern, fluid energy to the party.